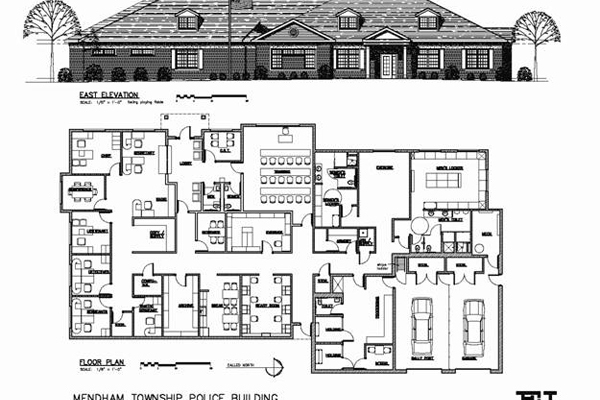 EI Associates was retained by the Township of Mendham to design a new police station. The new police station is designed to add much-needed space and will be built on the site of the town’s maintenance yard. The new 7,500 sq.ft. building will accommodate all Police Department functions including a sally port and a temporary holding cell. Additional spaces include principal offices, staff offices, a training room, crisis response team room, patrol room, processing room, archival room, armory, locker rooms, a garage and storage areas.